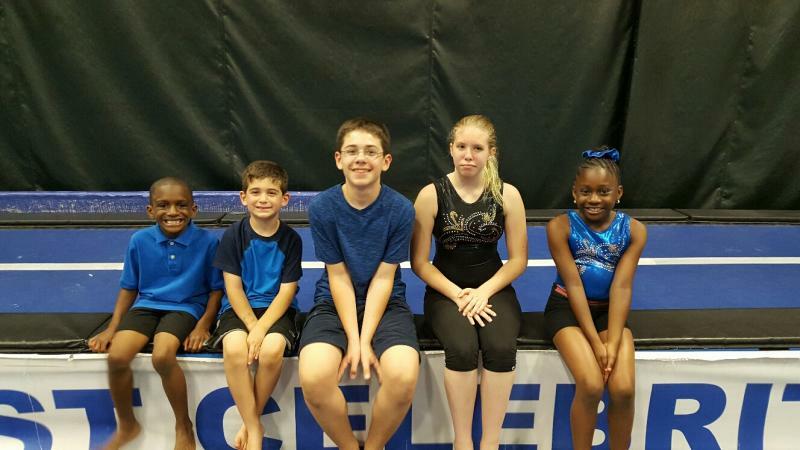 Each session 1st Class Gymnastics Academy offers a special event that takes place during class time. During the 1st session 1st Class Gymnastics Academy will have Goal Setting Week. Teachers will have the opportunity to discuss the gymnasts' goals with them for the year. This will help both the beginner students in understanding proper progressions and the advanced students with motivation and keeping their goals on target. During session 2 gymnasts are allowed to invite a Buddy to class. Permission forms will be given out the week before for all buddies parents to sign. Any buddy that ends up signing up for the session, the referring buddy will receive half off their next session! Picture Day will be held during our 3rd session. During class parents will have the opportunity to come into class and take pictures/videos of their child "showing off" their skills they have learned. It's an affordable, perfect chance to capture some memories of your child for their scrapbook! Take Your Parents to Play Day will be held during our 4th session. Gymnasts will have a chance to "teach" their parents basic skills on each event along with some stretching and some conditioning. Come dressed to participate and prepared to have fun!! Our last session is our busy one with both the annual show and testing occuring all in 1 session. 1st, gymnasts will take part in our Fitness Challenge/Skill Testing. Gymnasts will be tested on their strength, balance, flexibility, and endurance. They will also be tested on a number of skills to see how they have progressed over the year. Then, 1st Class will hold an Exhibition during the last week of the last session. This is a Free event held for your child to show off all of their skills they have accomplished to their family and friends. A special presentation award will be given to each gymnast at the conclusion of the exhibition!! Check out our Open Gym Workshops Page for events happening outside of class time! For more details on the above events please see our newsletter each session or call (978) 424-7707 with any questions you may have!